Schools will be closed on Friday, April 19th, and Monday, April 22nd. We will resume normal hours on Tuesday, April 23rd. Hillsboro senior citizens can obtain a Golden Eagle Card for free entry into HISD sponsored school activities, excluding certain fundraiser events. More information about the Golden Eagle Card can be found under the Community section of our website. 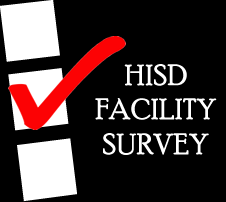 HISD Facility Survey- We Need Your Input!